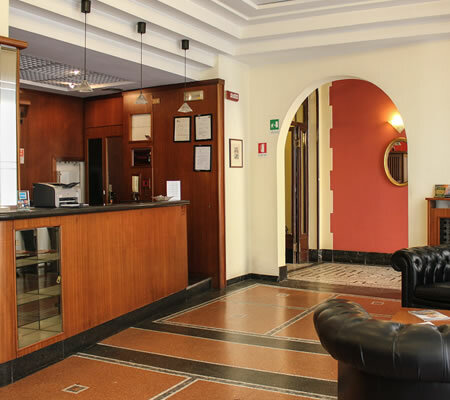 The Hotel Giulio Cesare Milan is a recently renovated 3 star hotel in the heart of old Milan just 200 metres from the magnificent Sforzesco Castle and within an easy stroll of La Scala Theatre and the Duomo. Also close to the popular Brera district, we are therefore within easy reach of bars and restaurants so there is literally everything on your doorstep. Why not take a look at our Photo Gallery or Video Tour pages for a more visual representation of what we can offer, or alternatively read more in our Rooms and Services pages. If you are looking for a cheap and affordable 3 star hotel that is clean, comfortable and great value for money, then look no further – you have found us! 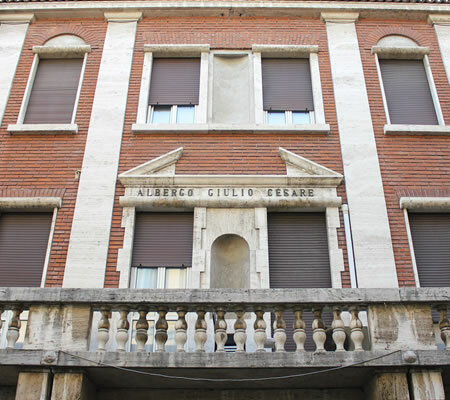 The Hotel Giulio Cesare is also in a fantastic location being situated in the very heart of old Milan. Positioned just 200 metres from Castello Sforzesco – a labyrinth of museums, art and archives and one of the most visited tourist attractions in Milan – the Hotel Giulio Cesare is also just a short 10 minute stroll from the world famous Teatro La Scala opera house and museum, and of course the awe-inspiring Duomo with its gothic towers and statuary galore. The Hotel Giulio Cesare Milan has been completed renovated to provide guests with the facilities and modern conveniences one may expect of a modern 3 star hotel. Decorated in warm and welcoming colours using wooden veneers and simple design concepts, this affordable hotel offers 24 guest rooms in either the single, twin or double variety with the possibility of further beds being added if necessary. If something less popular grabs your fancy however, the Cairoli Castello Metro Station is also just a short walk away which means that you can travel the city of Milan quickly and easily with the minimum of hassle. If restaurants and bars are more your scene then we also have quick access to this with plenty of restaurants and bars on your doorstep in the nearby Brera district. Take a look at our Location page for more detailed information. 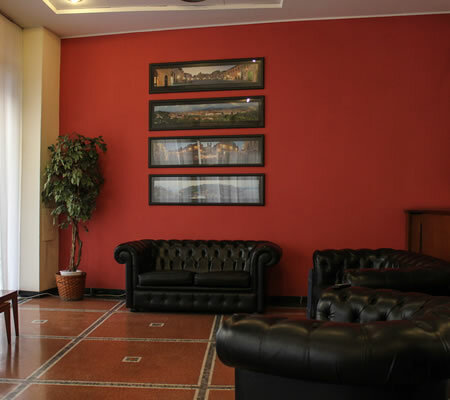 The hotel itself also offers a 24 hr reception manned by highly trained multi-lingual staff together with a TV lounge, a reading room and even a hotel bar. A complimentary Italian breakfast is also included in the room price and served either in the breakfast hall or in the guest room depending on the guests’ preference.